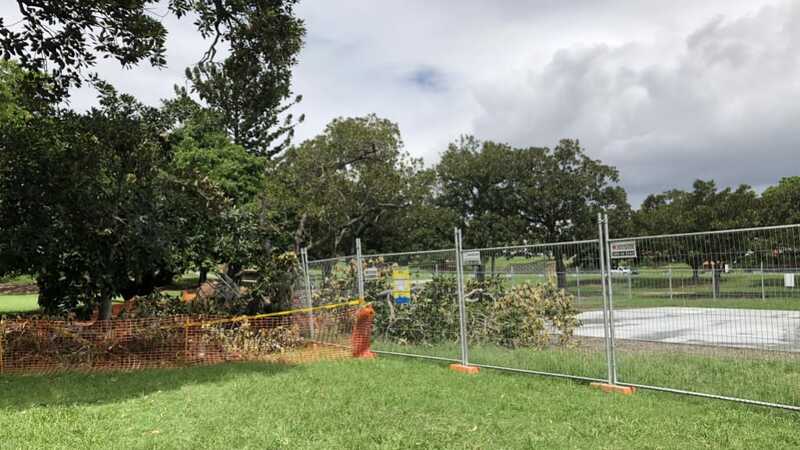 There has been a huge uproar recently around a tree that was destroyed in Musgrave Park, West End due to the installation of a concrete slab for a basketball court. The full article is on Brisbane Times and surrounds Greens councillor Jonathan Sri as he was the one who approved the installation. Residents claim that the work involved with laying the concrete slab contributed to the demise of the tree because nothing else could have caused it like severe wind or vandalism. At North Brisbane Trees, tree safety is a huge priority for us and we are not in the business to remove a tree just for the sake of it. We love trees and simply would not indulge in any activity that encroach upon local laws or good old fashioned common sense. But when there is a tree in the news, you know we are onto it. We should note that Councillor Sri has mentioned an Arborist Report was being put together and that would be able to close the loop on what has transpired. It is important to always engage Arborists and Tree Experts before carrying out any work that can impact trees. Many trees are protected species and there is special legislation around how they are handled. It is not as simple as cutting a tree down or ‘working around it’. As in this case, it appears the problems could have occurred well beneath the surface so whilst those involved may have taken care, they would probably only have seen what was on the surface. Of course, we hope for the best outcome here and will leave the matter for the authorities to handle. Just remember, when in doubt, give North Brisbane Trees a call on 07 3289 3610.